Chris Smither draws deeply from blues and folk music, modern poets and philosophers. An exceptional artist with more than 15 albums to his credit, he receives ongoing praise for his dazzling guitar work, his gravelly voice, and his profound, beautiful songwriting. His rhythmic finger-picking style, strongly influenced by the playing of Mississippi John Hurt and Lightnin’ Hopkins, is layered over the ever-present backbeat of his tapping feet. Chris Smither grew up in New Orleans and learned to play his mother’s ukulele as a child. After moving to to Boston in his twenties, he developed his unique musical style and forged lifelong musical friendships. His songs have been recorded by Bonnie Raitt, Emmylou Harris, Diana Krall, John Mayall and many others. 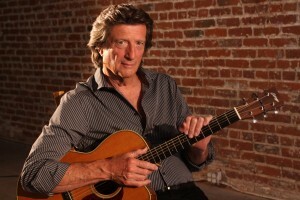 Chris Smither released a two-CD retrospective album entitled “Still on the Levee” in July, 2014, to celebrate 50 years as a recording artist. A book – “Chris Smither Lyrics, 1966-2012” – contains lyrics to his entire song catalog along with selected photographs from his illustrious career. The upcoming CD “Link of Chain” features a who’s who of musicians interpreting his material, including Josh Ritter, Bonnie Raitt, Tim O’Brien, Loudon Wainwright III, Patty Larkin and many more.